Valerie B. Lee, Professor Emerita in English, is the former chair of three Ohio State academic departments: the Department of Women's Studies (now Women's, Gender and Sexuality Studies); the Department of English (two terms); and the Department of African American and African Studies (Interim Chair). Also, she served a five-year term as the university's Chief Diversity Officer and Vice Provost of Diversity and Inclusion, and a three-year term as Vice President of Outreach and Engagement. Professor Lee is the recipient of The Ohio State University Alumni Award for Distinguished Teaching (1993), The Ohio State University Faculty Award for Distinguished Service (2006), and The University Distinguished Service Award (2018). As a citizen of the larger Columbus community, she was inducted into the YWCA's Women of Achievement Academy (2005) and for thirty-two years served as Executive Director of Womanist Readers, one of the city's prominent reading groups. Nationally, she served as President of the Association of Departments of English and is a recipient of the profession's distinguished service award, the ADE Francis Andrew March Award (2019). 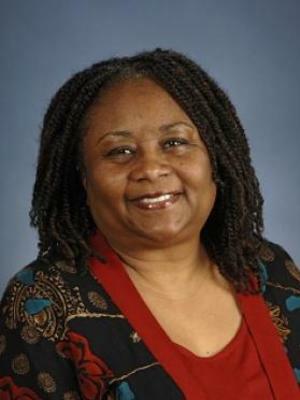 Some of her publications include Granny Midwives and Black Women Writers: Double-Dutched Readings, The Prentice Hall Anthology of African American Women's Literature and journal articles in the areas of multicultural literatures, women's literature, folklore, and higher education. She co-edits (with E. Patrick Johnson of Northwestern University) the Ohio State University Press book series, Black Performance and Cultural Criticism. Professor Lee taught such courses as: Women Writers of the Harlem Renaissance; Postmodern Slave Narratives; Speaking and Writing the Other; Toni Morrison; Critical Race Narratives; The Oral Tradition and Black Women's Narratives; Theorizing Gender Representation; Women Writing the Civil Rights Movement. She has been an academic program reviewer and an external tenure and promotion reviewer for scores of universities. Prior to her appointment at Ohio State in 1991, Dr. Lee was a professor at Denison University for fifteen years. She earned her Ph.D. in English from The Ohio State University.